6 Public Speaking Tips You Need to Know. 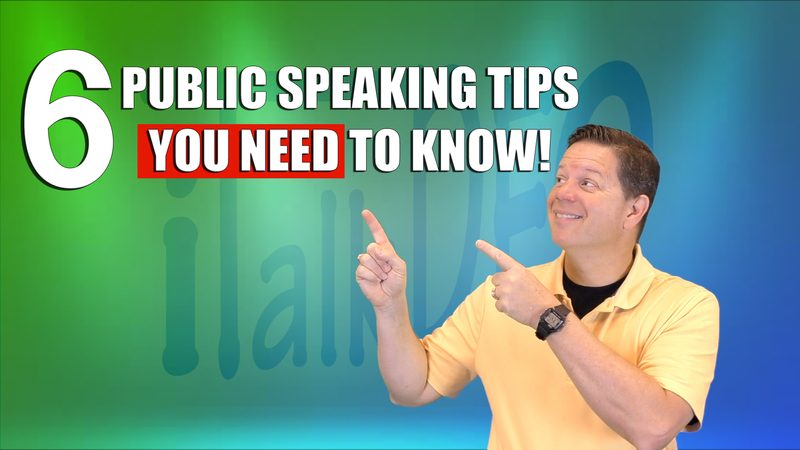 Here are 6 public speaking tips that you can add into any speech and make an instant improvement. The key to improving your speaking skill is to write your speech/script out on paper. Once you see the words you can now enhance the words by adding notations in your presentation such as eye movement, hand gestures along with voice and facial expressions. If you fail to write out your speech you miss the opportunity to improve your speech. This video highlight the best of each technique I’ve talked about in iTalkDEO. I would suggest that you check out the other videos and see what techniques works best for you. These techniques work in my presentation and should work in yours too.